I admit it, I’ve always had a thing for the FJ. There is just something about it that you can’t put your finger on. He is that slightly awkward date whom some of your friends aren’t terribly keen on. 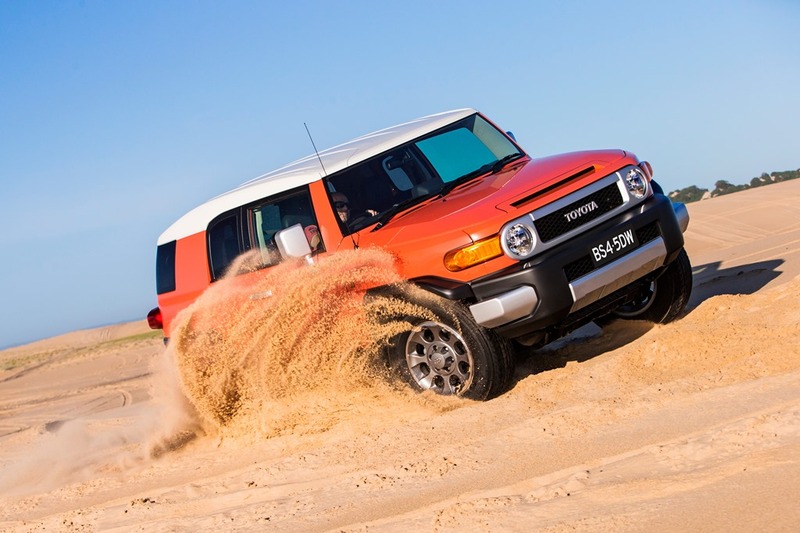 We’ve driven the FJ for what might be the last time as Toyota is ending production next year. Will it be lamented? 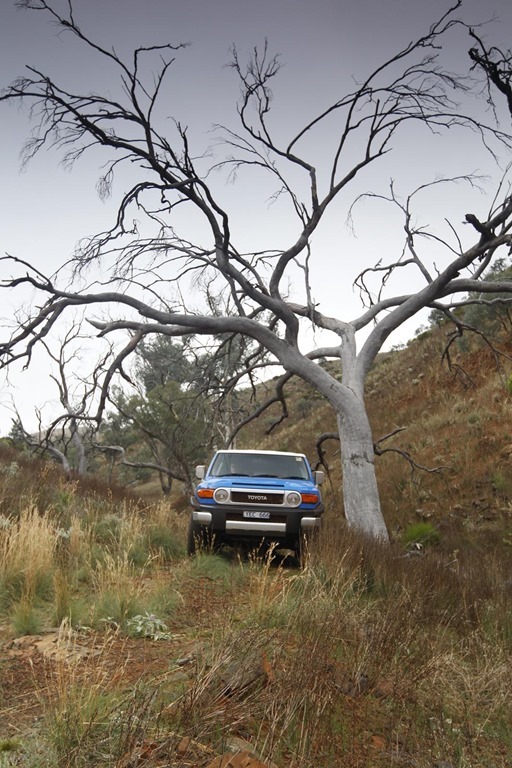 Yes, certainly by me, but it is a tough world out there and the 4WD buyer is a fickle and frustrated foe. 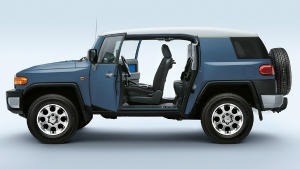 For a smidge extra you can have a 7 seater manual Prado on which the FJ is based. It will be a diesel but even in its base model has more in it than an FJ. 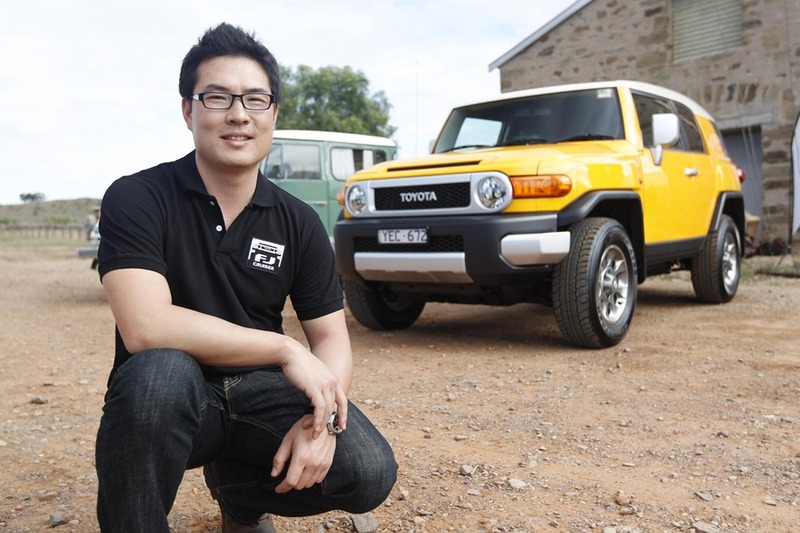 No, the FJ Cruiser buyer will be the type of bloke wants to be different. He wants to stand out, and is as likely to be seen in a Zegna suit as a pair of stubbies with thongs. You see, he could go camping or fishing on weekends, and gym and the office through the week. 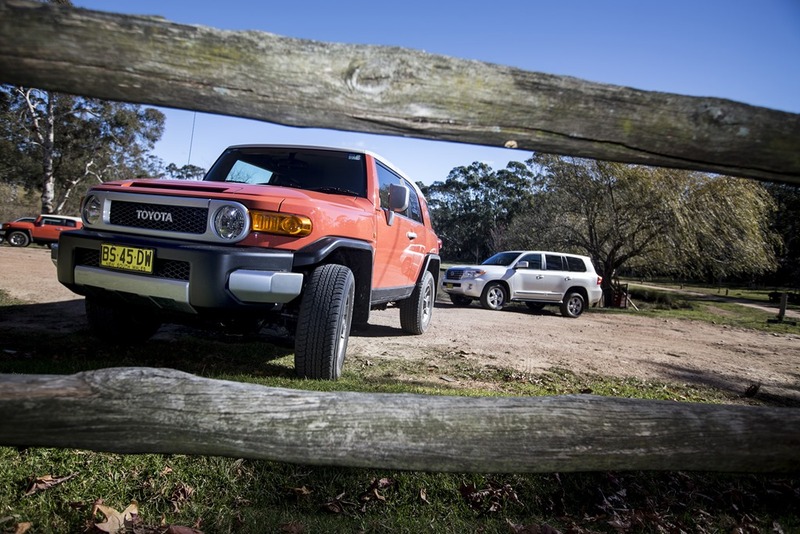 The FJ may even be one of two cars, the other being something vulgar and showy. The point is that this buyer is not making a purchase on value alone, but rather on the X factor. It’s the experience as a whole that counts. He doesn’t care that Toyota never put an oil burner under the bonnet, or that the manual is only available in the USA. He won’t miss the auto lights, auto wipers, auto climate control, Smart key entry and start, electric seats or any other semblance of luxury. 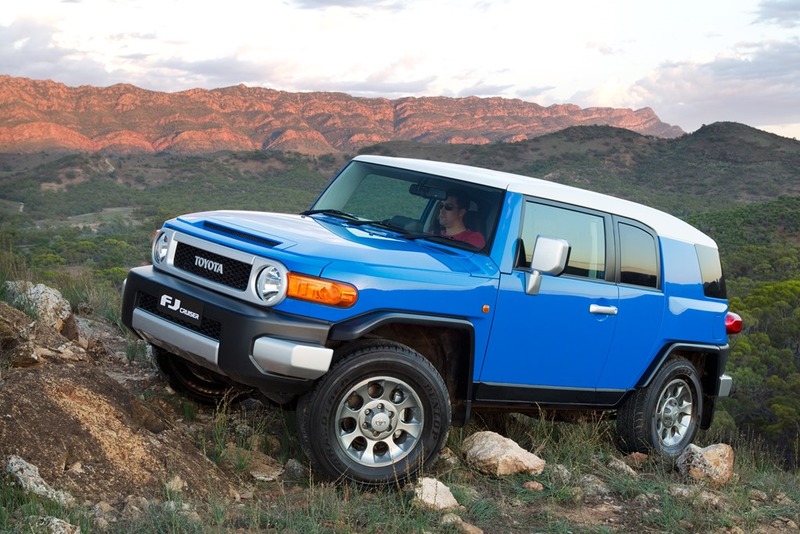 The FJ was modelled after fourbees of old to evoke a quieter, gentler, less frenetic time. A time before mobile phones and tablet computing, in fact a time before computing of any kind. Of course it was also a time when we were far more likely to die hideously in a car crash. 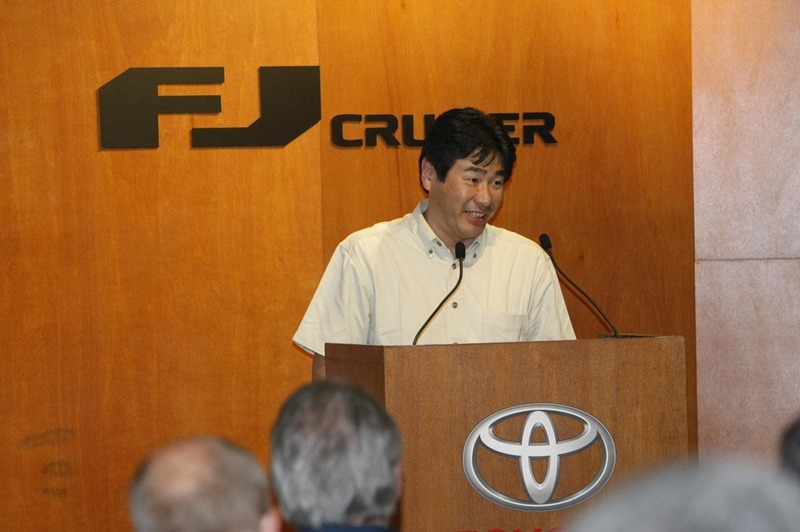 The young man who originally designed the FJ was fresh out of school and he was proud, as proud a father at a birth. And so he should have been. Sadly, he love child has had an unfortunate number of recalls, some serious, some not. There was the breather tube that might catch fire, the front seatbelt mount located in the rear door that may come adrift, sundry equipment failures and exterior light problems to name but a few. And still, the FJ polarises the market into the loves and love-nots. The original audio system was pretty dreadful, and anyone with an early Cruiser would have replaced the radio with something a bit more 21st century. Also there were reports of drumming cabin noise and other annoyances which over time have been corrected. The FJ now is what it should have been on launch day. It is quiet and serene and has an awesome music system. Toyota has installed its new corporate infotainment set up which includes Sat Nav and voice control. The Sat Nav on its 6.1” touch screen is excellent, but the voice control is a diabolical instrument of torture. Calling your hubby is only slightly less difficult than building a cathedral in the 12th century. It will have you ripping your hair out and banging your head against the window. She is very hard of hearing, and if the system doesn’t understand you it asks you to repeat, again, and again, and again. It’s the same request in the same tone said the same monotonous way. Not once was I able to negotiate a successful outcome with her. I was never able to successfully able to make a call. On the other hand, pressing the “siri” button on my Iphone made a phone call first time every time without either of us needing big hugs, vodka shots or therapy. If Apple can do it, why can’t huge car-makers. 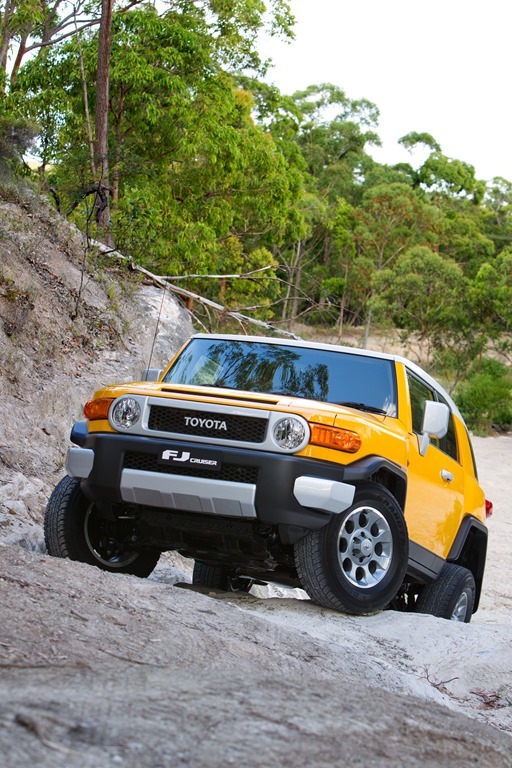 The FJ is a hefty lad weighing about 2000 kilos. He is hauled round town by a barely adequate 200kw V6, and a smooth but slightly Jurassic 5 speed automatic. 5 speed trannies went out with tie-die cheesecloth and synthetic flared pants and I is simply inexcusable in a 2014 car costing more than $50k. The performance is, as I said, adequate, but the torque of a diesel would have made the job a whole lot easier, albeit with an industrial soundtrack. It was a huge missed opportunity. 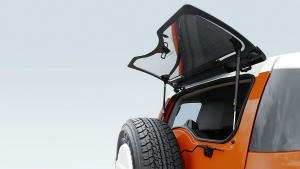 In a case of almost being fabulous then falling at the last hurdle, the FJ has a flip-up glass hatch in the rear door. Because he door swings sideways and you need quite a bit of room open it, the designers thought a smaller opening would be just the ticket. Rather than being accessed by holding a button on the fob for a second, you have to put an actual key into an actual lock, turn it, and hold for 2 seconds. It isn’t as if every other Toyota can’t access its rear cargo area with a button on the fob is it? Imagine schlepping your bags out to the cars then having to plonk them on the ground because your hands are full and you have to use a key. When was the last time anyone used a key in a car? Probably about the same time since you last used a CD in one. I’m sorry but it’s a pastiche too far. 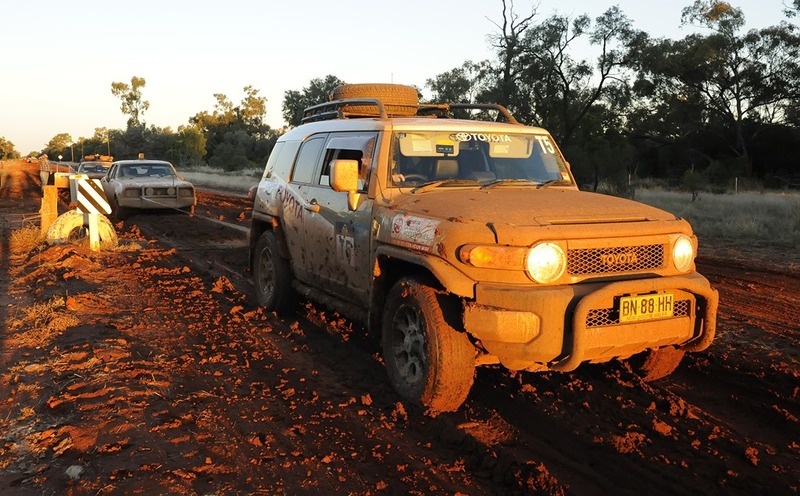 At the launch, Toyota execs proudly announced that the car which costs about $27k on the USA roads, was going to retail for $52,000 on Australian soil. Ouch! They said it was a pared down car but we expected a pared down price. Not happy Jan! Since that launch, “Auto” has become the word du jour. You no longer need to fettle your switches for lights and wipers, and your air is a set-and-forget affair once you’ve dialled up “arctic”. The FJ has none of it, not even smart key entry and start. It’s time has come and gone and it can’t compete against the chaps crammed full of 21st century whizbangery. For $52k, you would really seriously have to want this particular car. 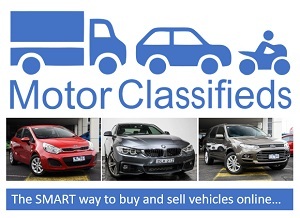 If you have no need of proper 4WD the pool of prospective buyers is even smaller. 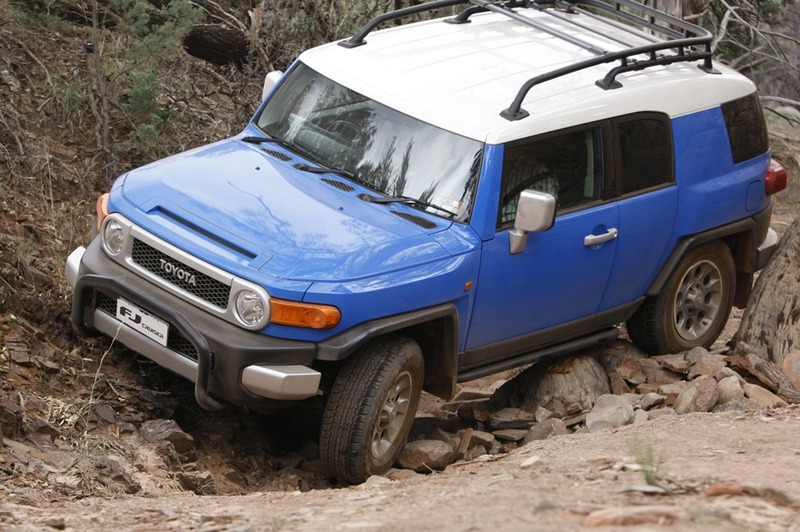 Off road, the FJ is simply awesome and goes some way to making up for the shortcomings. It also now has Toyota’s fantastic “Crawl Control” but so few will ever get to use it. We showed the crawl control in use here (remember to turn your sound down, the music is a bit annoying). Then there is the fuel consumption: Around town Toyota say you’ll get 15L/100k but we couldn’t better 20. It has long range tanks with a eye watering 159L combined capacity. Good news for trekking across the desert, but bad news for your purse. You’ll pay about $240 to fill to the brim. Gadzooks! Remember, there is no cheaper diesel option, so that’s that. On the highway the FJ is smooth and quiet if a little floaty. I’d really have liked another couple of cogs to get those fuel figures down given that Mercedes has just introduced a 9 speed auto for that very reason. Around town, he isn’t exactly frisky either. Your lane changings and reversings are to be treated with the respect of a Death Adder. You grocery shopping must be done with care and your parking spots, like your love life, are best with a little extra on the side. As for the cabin, you either like the interior or not. 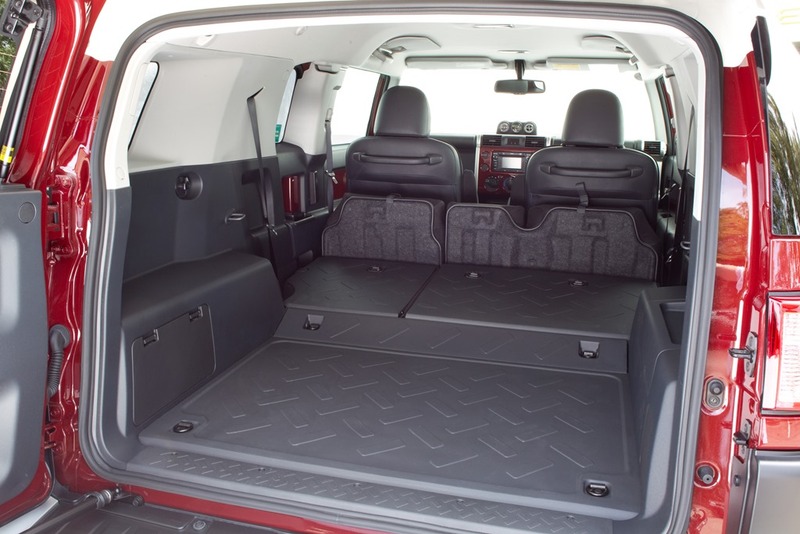 It has rubber mats and easy-clean seats and loads of colour-matched plastic. The affect is young and fresh, or at least it was. Of course, the chap who drew the outside didn’t do the inside. Perhaps he should have. Doesn’t it sound gloomy? It is now time to you to forget everything you have just read because we are now back where we started, the X Factor. 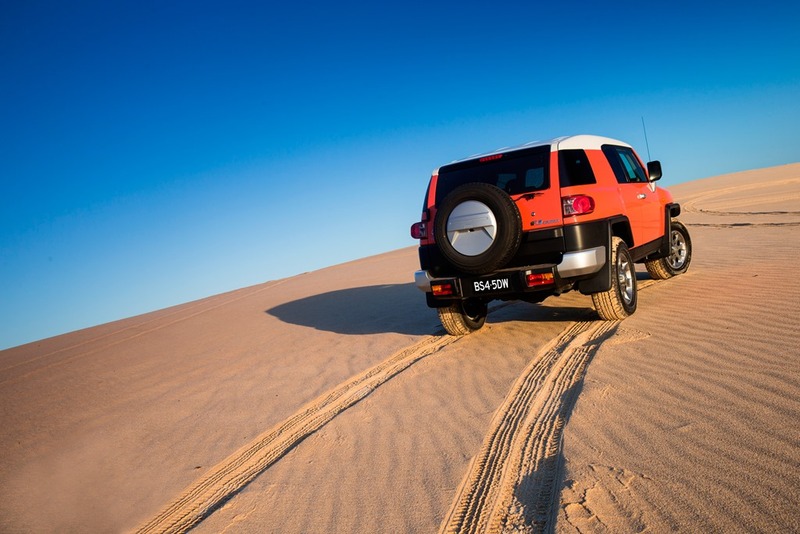 The FJ Cruiser oozes “X” from every pore. You feel special driving it. People still notice you as if you’re a film star that they can’t quite recognise. It is all about the experience not about the figures, because on paper you’d never buy it. Would I buy one? Yes, if I was to find myself wanting a 4WD there would be no hesitation. I love it. Reblogged this on Car News UK.